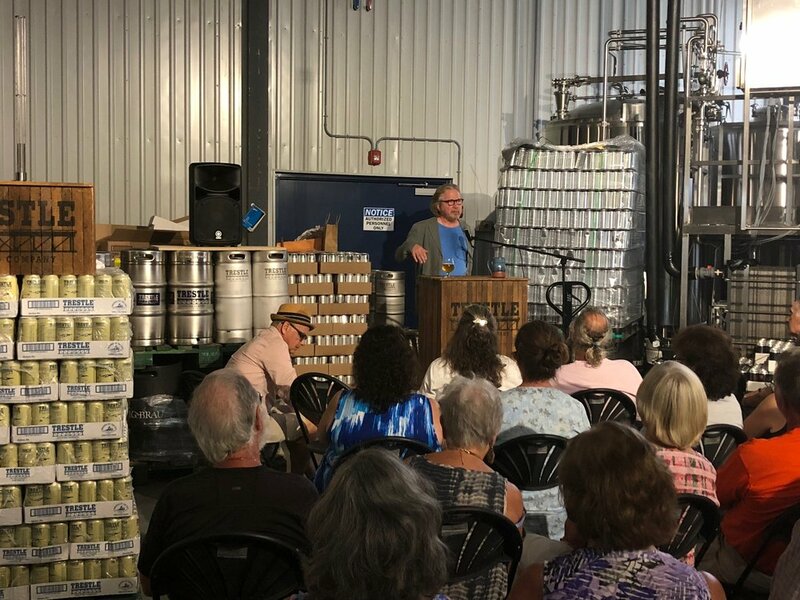 WHAT CAN BE BETTER THAN BOOKS AND BEER? 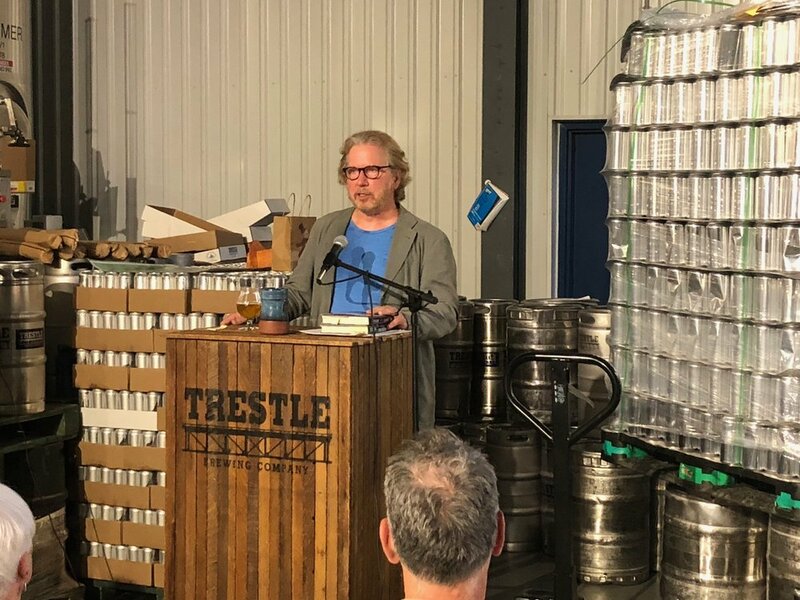 On Monday 16 July we hosted Giles Blunt, creator of the Cardinal mystery series, at Trestle Brewing Company. The evening was a great success. The answer to the question WHAT CAN BE BETTER THAN BOOKS AND BEER? is BOOKS, BEER AND BIRDS!! 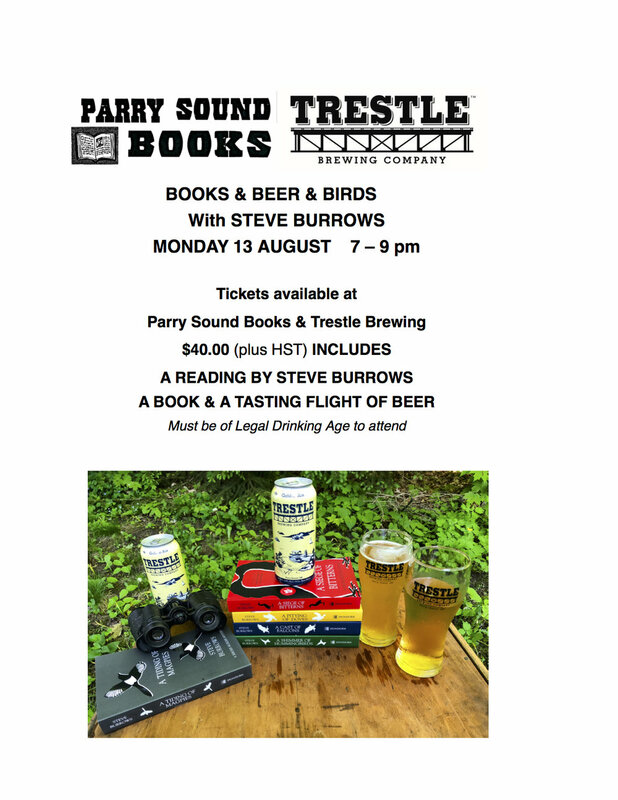 On Monday 13 August we host Steve Burrows, author of the Birder Murder Mystery Series - to an audience of only 70 readers keen to try Trestle Brewing Company's range of beer! Tickets are selling quickly - don't wait to buy your tickets!